In Part One, I described how I plan to use data analysis of Opta statistics from previous seasons to develop a strategy for the forthcoming Fantasy Premier League (FPL) campaign. In the second part, I will outline how my theory can be applied to picking players in each position (the details of the analysis and the numbers behind them are outlined in two blog posts here). Before continuing, I will reiterate my disclaimer: this is a theory I intend to test in the forthcoming season. It’s not a guarantee of success, nor is it revolutionary thinking. If you wish to follow any of it when managing your team, good luck to you. To understand how to pick defenders and goalkeepers, we must first acknowledge that they are fundamentally different to forwards and midfielders. Players further up the pitch will score points for individual actions such as goals and assists, whereas the majority of points distributed to defenders and goalkeepers are for clean sheets, which is a collective team achievement. There is a premium for goals by defenders, but these are far rarer and more difficult to predict than clean sheets. Also, when we look at the underlying stats, there is evidence that defenders who have to do more defending are significantly less successful in FPL (i.e. often those at clubs scrapping near the bottom). 1) Spend high on defenders from big teams who will guarantee clean sheets. 2) Go cheap and hope for occasional clean sheets while relying on points from your strikers and midfielders. For the coming season I’m favouring consistency at the back, with a top-level goalkeeper and two attack-minded defenders from big clubs likely to keep clean sheets (all of whom will be at a premium). The alternative strategy would be to select two mid-range goalkeepers who I can rotate depending on the opposition. But a top-level goalkeeper, say Joe Hart (Ed – no laughing at the back), can be expected to keep 12-16 clean sheets a season, whereas two mid-table goalkeepers may keep 7-10. While this is a potential 20 clean sheets over the course of the season, you have to be confident in your rotation, which is crudely the equivalent of flipping a coin 20 times in a row and predicting the correct result each time. 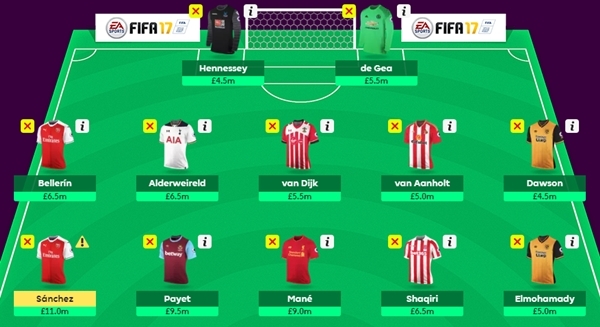 For the defence, beyond the two consistent big-name players (last season’s successes included Toby Alderweireld and Hector Bellerin) I plan to operate a rotation policy as described above for the remaining three defenders in a 3-4-3 / 3-5-2 formation (note: the rules dictate that you must play at least three defenders every week, with one exception if you choose to use your ‘all out attack’ chip, when you can play only two). 1) Having three options for rotation is better than just the two options you would have if rotating goalkeepers. 2) A premium goalkeeper is less likely to be rotated than a third premium defender, so his security of starts is better – conversely meaning I’ll be less likely to call upon the back-up goalkeeper than a budget back-up defender. With this strategy in mind, I hope to largely leave the defence alone for the season, safe in the knowledge that their long-term points will be mainly determined by the success of their clubs (plus the third defender being rotated between three good options). There will be two wildcards (unlimited transfers free of charge) throughout the season which allow me to refresh my backline without consequence. This means I can focus on consistent tweaks to the midfield and forward positions – the areas which require the most regular changes. Starting goalkeeper: any starter from a top eight club. Providing he doesn’t move to Real Madrid, I’m considering David De Gea, although Petr Cech was a very good option last season. Back-up goalkeeper: as cheap an option (£4.0m) as possible as they should rarely, if ever, be called upon. Last season, Alex McCarthy and later Wayne Hennessey emerged as Crystal Palace’s first choice from within the cheap price bracket, so look for a similar tale of a first-choice keeper being dropped this season. Rotating defenders: £4.5m, £5.0m max. Pick reliable starters as the first criteria. These players may not score you many points, but every little counts, and they will have the occasional good week. Hull, Middlesbrough and Sunderland should rotate well for 18 of the first 19 weeks (up to the first wildcard deadline) so I’m going to look to them for my budget players. Of the top 30 midfielders ranked by ‘Adjusted Points’ (a metric I’ve designed for the purposes of my analysis) totals over the last two seasons, 18 have come from the six ‘biggest’ clubs (Manchesters City and United, Arsenal, Chelsea, Tottenham, Liverpool – apologies to Leicester fans). Therefore, while the personnel may change throughout the season, it’s safe to say that significant budget is required to be spent on the midfield. It’s best to choose players who play high up the pitch because their ability to find space, get amongst the play and take a shot is a good predictor of FPL points. The underlying stats for midfielders that correlate with points include a combination of shots on target, passes received in the final third and touches in the final third. The prospect of picking five quality players is unrealistic, so seasons often turn on the jokers in the pack. Last year budget ‘enablers’ such as Riyad Mahrez – last season’s top scoring player – and Dele Alli came to the fore, helping many FPL managers, but it’s difficult to pick who these are going to be. Being alert to the best fourth and fifth midfielder options is key; the first three, if selected from the big six clubs, will be relatively consistent over the course of a season (although some chopping and changing is advisable depending on form), but finding the cheap options before they rise to prominence will enable valuable funds to be spent elsewhere. Premium midfielders: a lot will depend on the classification of whether a player is a forward or midfielder. There is often ambiguity surrounding the exact position of players like Alexis Sanchez, who is classified as a midfielder but could just as easily be categorised as a forward. Aside from the obvious big hitters (aforementioned Sanchez, Eden Hazard, Kevin de Bruyne, Mesut Ozil, Dimitri Payet), it’s difficult to know exactly who to go for with so many top teams in flux and indeed so many quality options. I’m almost certain to pick one of Roberto Firmino or Sadio Mane at Liverpool – who, like Chelsea, are without European distractions – although not until after they get their difficult opening fixtures out of the way, and from outside the top clubs Swansea’s Gylfi Sigurdsson has potential to be undervalued when the game goes live. Budget midfielders: there really is no way of knowing yet. Go with your instinct but don’t wait long to change when a better option emerges as the price rise for that player will be fast and steep. Mahrez started last season at just £5.5m, but was up to £6.5m by gameweek 8. Just make sure they are attacking players – the defensive midfield enforcers for the big teams are cheap for a reason. Goals and assists are the main source of points for attacking players. Whereas with defenders and goalkeepers it’s best to focus on the wider context of which team a certain individual plays for, with forwards this is reversed. It doesn’t matter who they play for, providing they can score or make goals – take Jamie Vardy last season, for example. Goals are a clear indicator of FPL points, but the underlying causes of goals can be attributed to shots on target and touches in the final third. 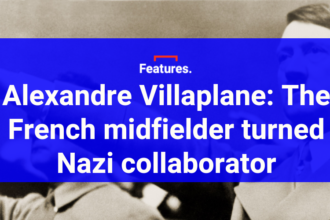 There aren’t any deeper causes that I can find; I theorised that in the modern game a striker must be combative – chasing down defenders and intercepting passes – but while this may be a fashionable style of play, the relevant metrics don’t improve calculations for projecting FPL success. I also assumed that strikers need to be at the centre of attention to be successful – that passes made or passes received would be indicative of more points – but that doesn’t account for counter-attacking forwards like Vardy, who was one of the top players last season. The difficult thing to acknowledge about strikers is how unpredictable they can be. There’s an assumption that the No.9s from the big teams will receive plenty of opportunities to register shots on target, but for every Sergio Aguero or Harry Kane there’s an under-performing counterpart such as Wayne Rooney or Christian Benteke in 2015/2016. Similarly, it’s widely assumed that promoted teams won’t have the ability to dominate games or fashion many chances, and so their strikers will be starved of opportunities. But this doesn’t explain the success of budget players like (then) QPR’s Charlie Austin in 2014/2015 or Odion Ighalo in 2015/2016. 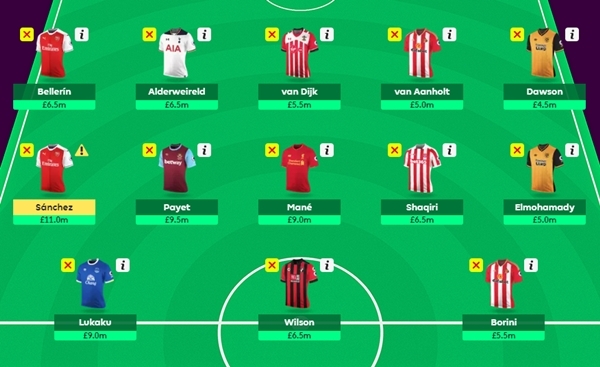 My strategy for next season is to remain as flexible as possible with the forwards in the early stages, monitoring shots on target closely to see who has been an active goal threat on a week-by-week basis and using the majority of weekly free transfers to rotate the forward line when necessary. The FPL game over the last couple of seasons has been kind in terms of strikers – providing a limited number of stand-out candidates from a range of prices – and the consistency of these players has made retaining them for weeks at a time an easy decision. However, predicting where these players will come from is difficult. So, perhaps counter-intuitively for someone who has spent his summer analysing so much data, the theory goes that it matters less who you start the season with, providing you retain an element of flexibility. Get the in-form players in quickly, and retain them only when they show the consistency of an Aguero, Kane or Ighalo, etc. Forwards: plan only a few weeks ahead at a time with forwards, and if in doubt go with the player in the most teams (‘% teams selected by’ filter) so you don’t miss out if they do something remarkable. Aguero has been known to punish non-owners with three, four or five goal hauls, and there is a lot of expectation around Zlatan, so expect him to feature in many rival squads. Prices are likely to be prohibitive, so picking between the two is not a decision I’m looking forward to. So there you have it: the basis of an FPL strategy borne out of data analysis. It reveals the complexity inherent in the game that makes it so hard to master, but hopefully also the tools to see through the murkiness and succeed. The only thing left is to go forth and conquer, right? That’s what I thought last season before it all went so horribly wrong. Forecasting based on past performance can be a useful addition to an FPL manager’s tool box because it partly removes subjectivity from the equation. We will of course make subjective calls on a week-by-week basis based on forthcoming fixtures, teammates, and rotation policies of managers – all of which can be effective additions to our models which help us predict where the points will go. However, we can make biased, potentially incorrect decisions based on what we see with our own eyes. Statistics are the cold, clear way of seeing past these prejudices, and any statistician will tell you that long-term analysis is much more robust than short-term impulses. But here we encounter our flaw: the sample size for this analysis is still quite small as we are still dealing with a small pool of elite players. 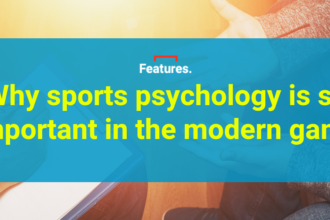 If we were analysing the season’s performance of thousands of players we could be a lot more confident in the predictive abilities of the model. As it is, we’re still limited to at most 340 season stats for midfielders, and only 65 for goalkeepers. Therefore, subjective interpretation and analysis of the numbers is still required. This analysis is not intended to provide a definitive answer or a set of rules that can be followed to the letter. If football was predictable the bookmakers would have gone out of business decades ago and the rest of us wouldn’t watch. Rather it is intended as a guide that hopefully allows me to understand the longer-term trends and focus on the metrics which are underpinning long-term FPL performance while navigating the vagaries of the short-term. In short, don’t come running to me if it doesn’t work – the proof will be in the pudding. You can follow Peter Blake on Twitter.